Alcohol abuse has plagued every civilization in history. This disease knows no cultural, physical, or socio-economic boundaries. There exists no individual who has not been affected, in some way, by addiction in a family member, colleague, or loved one. Alcohol abuse costs the United States over $225 billion a year, costlier than obesity and cancer. Opiate addiction has always been a nagging problem, but has historically been primarily isolated to the inner-city ‘junkie’ population. The landscape has changed dramatically, as this country finds itself in a hyper-acute opiate abuse crisis due to the massive surge in prescription drug addictions. Countless individuals, many of privileged backgrounds, suffer from the firm and unrelenting grasp of opiate dependence. More individuals die in the United States from prescription drug overdose than die from car accidents and gun violence. Addiction is clearly recognized as a chronic and progressive disease of brain circuitry. The path toward addiction is multifactorial and complex. The treatment is equally complicated. Addiction results from a convergence of many intrinsic as well as environmental factors. There is clearly a strong genetic predisposition. Regardless, the result is a chronic disease of hyper-focus and seeking, with a loss of meaningful impulse control and judgment. It is a disease that has an obvious psychosocial, behavioral, and emotional component as well as an intense physical and physiological component. All aspects of this disease must be addressed in order to have a meaningful chance at recovery. Since its inception, treatment of addiction has only focused on treating the psychological and behavioral causes and symptoms of the disease process. Therefore, rates of successful recovery are abysmally low and for many, struggles with addictions seem to be an endless revolving door. Why is this? It is because we have failed to provide scientific, comprehensive treatment alternatives that address both psychosocial and the physiologic/physical aspect of the disease. What is the extent of most individual’s treatment for this chronic disease (a chronic disease no different than hypertension, asthma or diabetes)? 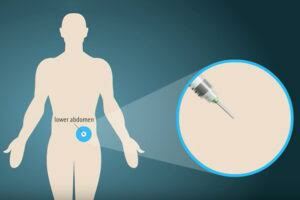 The treatment for most is no more than simply a referral to AA. Moreover, if the problem is recognized as more significant, one may be sequestered somewhere for 30 days, and then receive a referral to AA upon discharge. AA and many similar programs are wonderful organizations that have benefited countless individuals. However, these programs for the most part are support groups, and should not be confused with addiction treatment programs. Most individuals are unsuccessful with psychosocial support alone and this is understandable as we now accept addiction as a chronic disease of the brain. Like all chronic diseases, superior outcomes are a result of behavioral modification and medications. In the case of addiction, the main obstacle and culprit of unsuccessful attempts at accomplishing sobriety is the uncontrollable cravings. Medications to eliminate or diminish these cravings drastically improve successful outcomes. The cornerstone of the BioCorRx Recovery Program treatment is long lasting naltrexone therapy in the form of a subcutaneously placed implant. 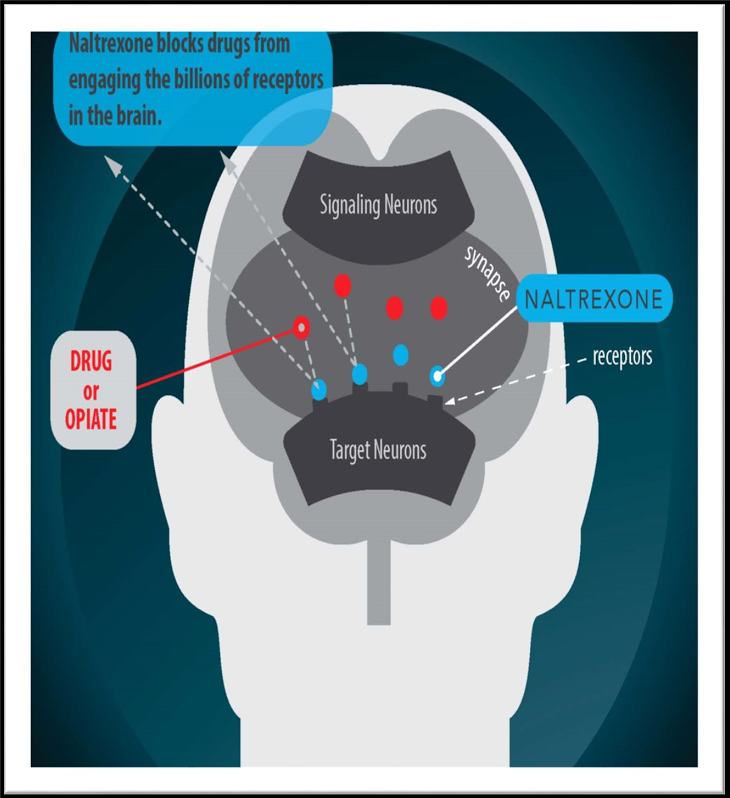 Naltrexone is a non-addictive opioid antagonist that eliminates or significantly reduces physical cravings and negates the pleasurable effects of drinking or using opiates. By liberating the individual from the compulsions to drink or use during that very critical first 6 months of recovery the patient can focus on the behavioral modifications required for lasting durable sobriety. What makes the BioCorRx® Recovery Program unique from conventional programs? The program aims to provide a thoroughly comprehensive treatment plan for every patient, offering patients a meaningful chance at successful recovery in the outpatient setting. In addition to intensive counseling and psychosocial support, evidence based and scientific methods are applied to reduce the intrusive and unrelenting cravings that ensnarl most patients and render them powerless. Naltrexone is a safe and effective medication that has been FDA approved, in the pill form, since 1984 for opioid abuse and 1995 for alcoholism. It has been dramatically underutilized for a variety of reasons. Primarily, the medical community, and society in general, have always considered abuse as simply a lack of willpower or a weakness of spirit. Beyond treatment of the physical withdrawal, the medical community has limited knowledge of addiction treatment modalities. The extent of treatment has been support group, or in some cases, referral to a therapist. Anti-craving medication is hardly ever considered, because until recently, most people, including physicians, have not understood addiction as a chronic disease process. Another obstacle to anti-craving medications, such as naltrexone in gaining a foothold in recovery is that until recently it has only been available in the pill form. It is simple to understand that the nature of the disease of addiction renders the suffering individual virtually incapable of daily medicine compliance. Over the past years, the medical community and society in general has arrived at a better understanding of addiction and recognizes the required model of comprehensive treatment for this chronic disease. The BioCorRx Recovery Program is poised to fill a massive void as a reliable treatment option for tens of millions of Americans. Offering a thorough, consistent, comprehensive, medical approach to alcohol and opiate abuse will be the new paradigm in addiction treatment. BioCorRx and the BioCorRx Recovery Program are positioned to be the pioneer of a new and effective treatment option. BioCorRx® strives to provide a sound, science based, comprehensive, outpatient recovery program for any individual requiring treatment. Throughout the history of addiction, recovery programs have been solely focused on the psychological and spiritual aspects of treatment and a desperate void has existed to provide a medically based, comprehensive approach to address the critical reason why so many addicts are unsuccessful at accomplishing sobriety: the physical cravings. BioCorRx has developed a reproducible approach to offer a proven, cost-effective, outpatient model to meet the demand of the millions of individuals suffering with this chronic disease. The image and reputation of BioCorRx, as well as the professionalism in our interactions and excellence in our efforts, are exceedingly important. The BioCorRx management team actively cultivates an environment in which loyalty, integrity, honesty and mutual cooperation are standard values in dealings with principals, staff, patients, families, and physicians.